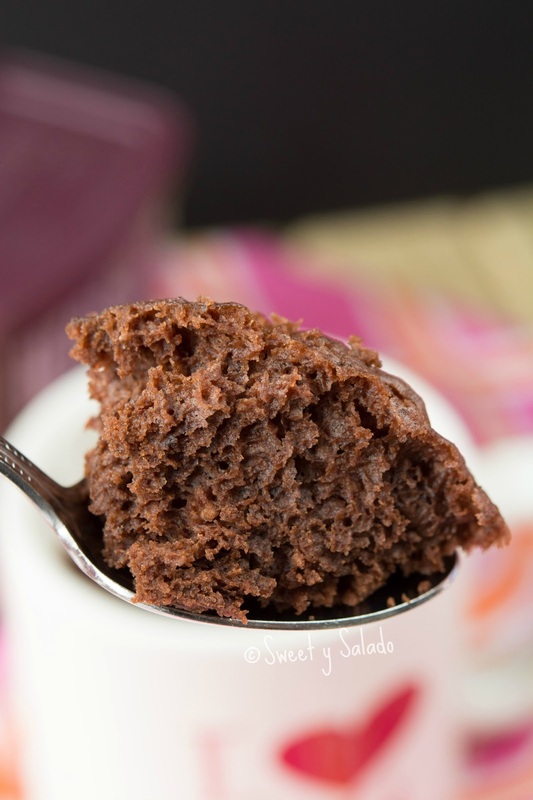 Today’s recipe is one of those that still surprises me whenever I make it because it seems like it was made with pure magic. You only have to mix all of the ingredients in a large mug, put it in the microwave for a minute and 30 seconds and it’s ready. And the flavor, I can only say that it’s amazingly delicious. 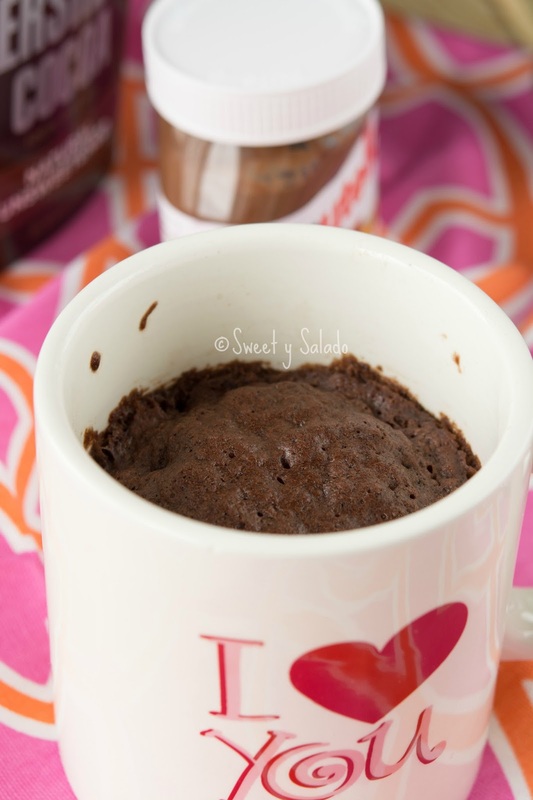 I have seen many mug cake recipes and the ones I like best are the ones that don’t use eggs. If you think about it, to make a cake that is for about 16-20 people, you can use between 2-4 eggs. 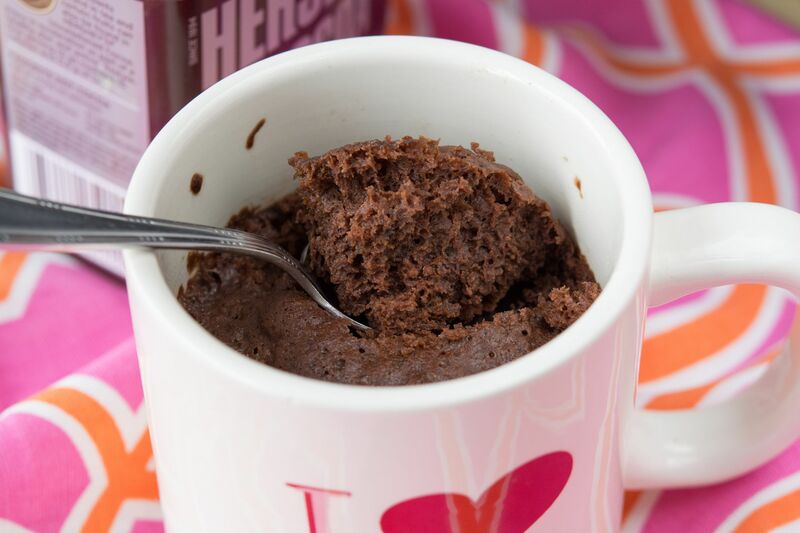 So, I don’t see why you need to use an entire egg to make such a tiny cake inside a mug. I don’t know, but I personally think it would be too much egg. Another thing I like to do is place a tablespoon of Nutella, chocolate spread, Chocoramo spread or peanut butter on top right before I pop it in the microwave. That always gives is a different and special touch. So, try it! 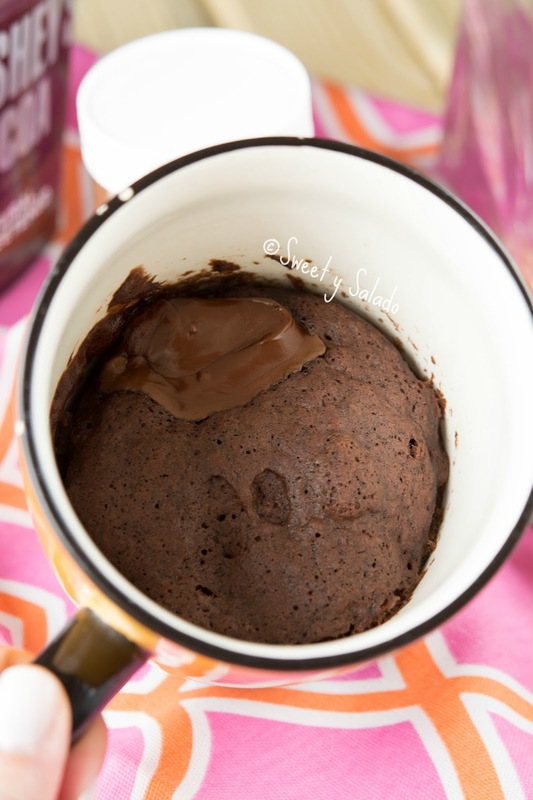 Mix the flour, cocoa powder, baking powder, sugar and salt in a large mug (14-16 oz). Pour in the milk, oil and vanilla extract if using and stir well. 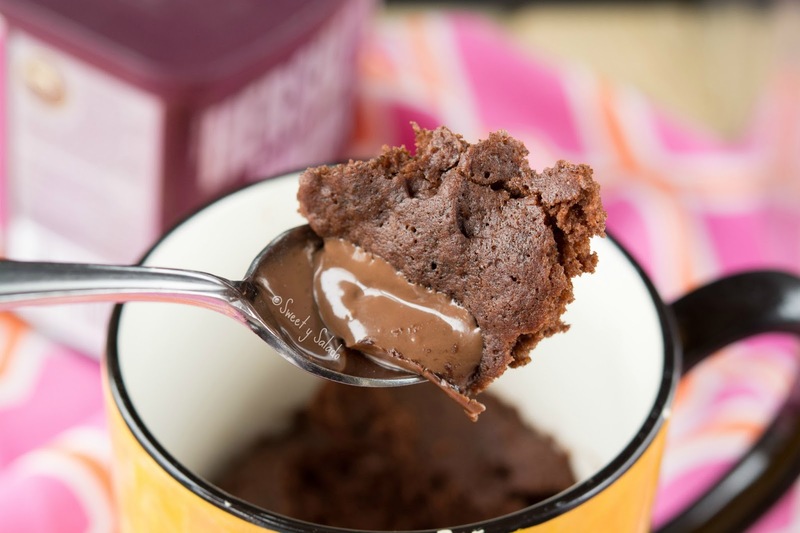 Now you can place the tbsp of Nutella, peanut butter, chocolate spread or Chocoramo spread on top of the batter. Microwave for on high for 1½ minute. All microwaves are different so cooking times may vary. Let it cool for about a minute before serving and enjoy.